Both prescription glasses and contacts are good options to correct or enhance vision. But many living in the San Jose area have trouble deciding which may be best suited for their lifestyle. 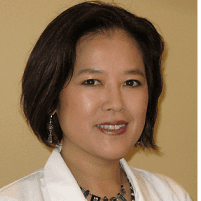 Dr. Jeehee Kim at Polaris Eye & Laser in Los Gatos, California is ready to help patients choose the vision correction mode best for their improved vision, wearability, and comfort. The optical department at Polaris Eye & Laser offers a selection of frames from Calvin Klein, Prodesign, RayBan, Ferragamo, Badgley Mischka, and more. Why are Prescription Glasses Needed? People often ask why prescription glasses are superior to the reading glasses that are sold at drugstores and supermarkets. The answer is simple: those glasses are meant to be used as only very minor vision correction for people who already have good vision. Non-prescription glasses are not customized in any way. They cannot correct vision for people with astigmatism, for example. People who have any significant degree of correctable vision problems need custom glasses, or they will not be able to achieve normal vision. Another reason that people with vision problems need prescription glasses is that it is common for each eye to have a unique prescription. This requires a custom pair of glasses with a different type of lens on each side. The only way to get prescription eyeglasses is to have a vision exam. An extra benefit of this exam is that Dr. Kim can review the health of each eye and identify eye diseases or conditions like glaucoma when they are still in their most treatable early stages. Who is a Good Candidate for Contact Lenses? Contact lenses can be a good choice for people who want to have the fullest vision possible. Many people complain that eyeglasses do not give them sufficient peripheral vision, which contact lenses can provide. Contact lens wearers typically should be 12 or older, although some children can handle contact lens responsibilities at a younger age. Contact lenses can correct most types of vision issues, including nearsightedness, farsightedness, and astigmatism. There are even bifocal and multifocal contact lenses available today. Which is the Better Choice - Glasses or Contacts? 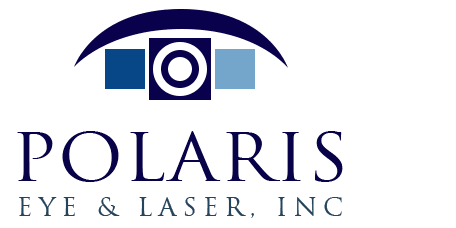 This is a highly individual choice, and the team at Polaris Eye & Laser is happy to help patients determine what will work best for them. Both glasses and contacts can offer excellent vision correction. Vision insurance plans such as Vision Service Plan (VSP) cover both types of vision correction. Some patients who have always worn eyeglasses find that it is best to start out by trying disposable daily contacts for a few weeks. Many people end up opting to wear contacts every day and keep a pair of prescription eyeglasses as a backup. How is a Prescription Determined? To get a patient's prescription, Dr. Kim will start with a visual acuity test. During this test, the patient will read lines of small letters on an eye chart until they cannot discern them any longer. This gives the doctor a starting point for each eye to determine lens prescriptions. A computerized refractor is typically used to determine the exact prescription needed. The patient tells Dr. Kim which lenses work best as she cycles through different options. This process is done separately for each eye, as each eye is unique. Dr. Kim will discuss vision correction options and help patients determine which will work best for them.